I actually tried to read this last August and only got about 50 pages in before putting it aside for other books. I thought the illustrations were amazing, but I guess I just wasn’t in the right mood. Something about reading a rainy Paris story in the middle of scorching August in New Jersey wasn’t working for me. 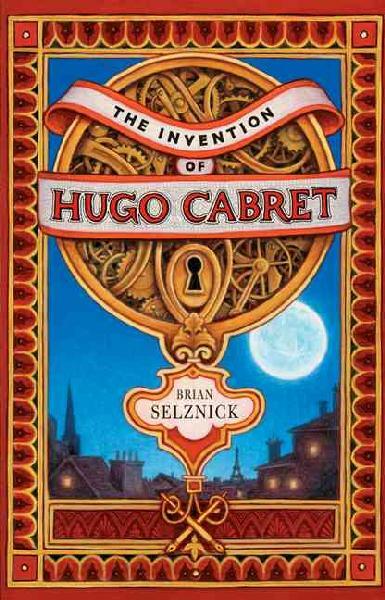 But when I picked up The Invention of Hugo Cabret by Brian Selznick in the midst of our recent April showers, I actually couldn’t put it down. 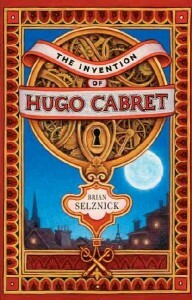 Young Hugo Cabret, orphaned and living in a Paris train station where he fixes the clocks, gets into a series of adventures after discovering a mechanical man. I was surprised by how affecting I found the illustrated chase scenes. The black and white drawings are perfectly moody and atmospheric. It’s incredibly cinematic. Great, great, great. 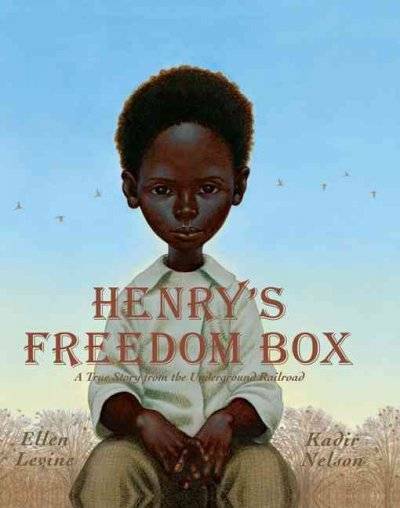 Henry’s Freedom Box by Ellen Levine, pictures by Kadir Nelson, is the story of a slave who mails himself to Philadelphia and therefore to freedom. 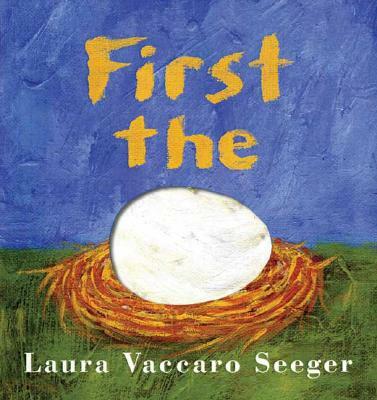 It is beautiful and a strong read-aloud pick. Some of the best illustrations show Henry’s experience inside his box while the world around him carries on as usual. It is based on the true story of Henry “Box” Brown. First the Egg by Lauren Vaccaro Seeger is cleverly thought out and executed. The cutaways and color palettes help the book flow, and I think the preschool set would love this as an interactive addition to story time. I personally liked the texture of the images and the simplicity of the compositions. There is just enough to look at on each page. Okay, this one blew me away. 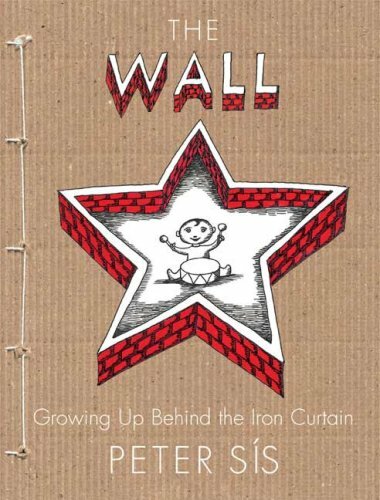 The Wall: Growing Up Behind the Iron Curtain by Peter Sis is his autobiography of growing up in Prague during the Cold War. He expresses through brilliant imagery how he found rock ‘n roll and evolved from an obedient follower to an artistic dissident. This is my personal favorite of the Caldecott books this year. It left me feeling like I’d had an incredible experience, not just finished reading a book. It is aimed at kids and is absolutely appropriate and important and as an educational tool. But I also think it’s a great book for adults to read, and I may be giving some copies out to people this Christmas. It reminded me of the power of art in the face of oppression. I love Mo Willems. He can do no wrong in the children’s book world as far as I am concerned. 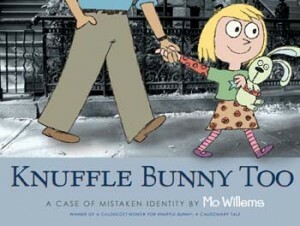 Knuffle Bunny Too: A Case of Mistaken Identity is no exception. Trixie is back, this time in school and having more adventures in her New York City neighborhood. I think the drawings over photographs are clever and sometimes funnier than drawings alone could ever be. The midnight faceoff between Trixie and Sonja, with their dads at their heels, had me giggling to myself for ages. Brilliant!